The company is situated in the centre of Maastricht, a lovely city in the very south of The Netherlands, right between Brussels and Cologne. We participate in several faires in Europe such as the Antiquarian Book and Print Fairs in Amsterdam, Brussels, Breda, Mechelen and Maastricht. Dealers throughout the world find their way to our store to replenish their stock. 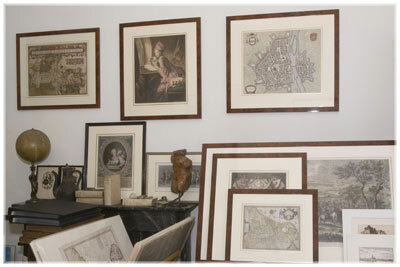 We are specialized in Antique Maps, Atlases, Townviews and decorative Prints from the 16-the century up to the 19-th century. In our catalogue you can find an impression of our stock.